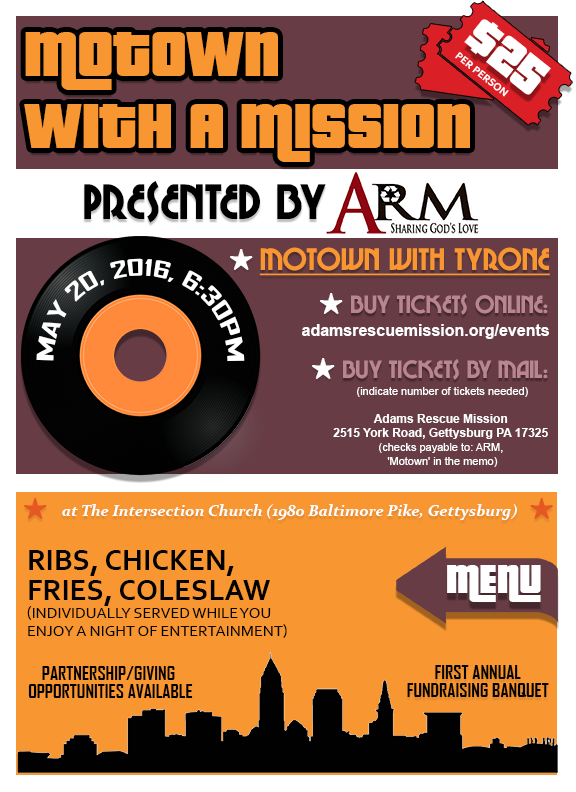 The Adams Rescue Mission needed a quick invitation design to commemorate their first annual fundraising banquet, “Motown for a Mission”. We were happy to provide them a funky invitation design for printing to meet not only their budget but also their time constraints. The Adams Rescue Mission needed someone to volunteer to create a poster for their upcoming fundraising event. As an important non-profit in Adams County, they were on a limited budget while still being able to provide this very important community service. Misfit Interactive absolutely donated graphic design services for their fundraiser as part of our regular charity initiatives. We’re always looking for ways to give back to the community with our graphic design and web design capabilities.